If you are in search of a good career in the medical field, a career as a nursing assistant is one of the many good choices. If you enjoy helping others and want to get a job immediately after the completion of your course, then a nursing assistant’s career is the perfect choice for you. 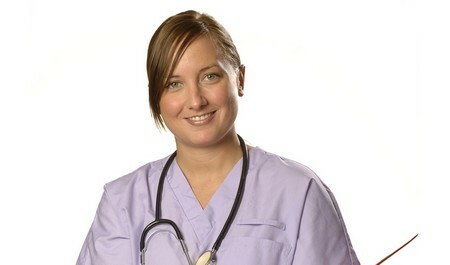 You have to take a license to work as a nursing assistant after the completing the course. The rules for issuing a nursing assistant’s license can vary according to the state in which you live. Basically, you need to pass a background check because it is necessary to ensure the safety of other staffs and patients. If you have been involved in illegal activities in your past, then it is very unlikely for you to get the license. The nature of illegal activities taken into consideration can vary from state to state. The nursing assistant certification course is usually conducted by health care facilities, schools and colleges. If you are interested in this field you may contact these services for the upcoming session. It normally takes four to ten weeks to complete the course. The duration can vary according to the institute offering the course. After the course you need to undergo clinical training. The clinical involves hands on practice in real working conditions. To complete the course, you need to work for at least 75 hours according to the federal law, under the supervision of a registered nurse. After the completing the nursing assistant course and clinical, you need to sit for the certified nursing assistant exam. This exam is periodically conducted in each state. The exam is divided into two categories – written and clinical. In written exams you need to answer the questions related to the theoretical knowledge needed to become a nursing assistant and clinical involves evaluation of your work under the supervision of a registered professional in the medical field. Your nursing assistant instructor will tell you the things you should know for the exam. It will also be beneficial for you if you make your own study group and take part in online practice tests. It helps in building up your confidence ahead of the test. You will get the license if you fulfill all the requirements which are designed to ensure that you are properly trained in all aspects of being a nursing assistant. You should be aware of the policies and procedures in the hospital. In the nursing assistant training course you will learn the basics you need to know to work as nursing assistant and you will be trained by professionals before entering real service. As the demand for nursing assistants is very high these days, you may ensure your career by obtaining nursing assistant certification. In case of any doubts, you are free to pose your queries to your state medical board via phone or online.